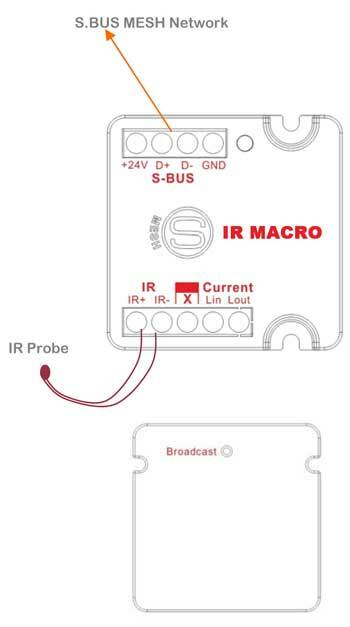 Built in 10 Macros, each can sequence up to 50 IR codes with different Time delay between IR Codes to transmit between 0 seconds up to 30 minutes. Universal Infra Red code Emitter with built in dual Range 2A current sensor and Macro cyclic function. The innovative current sensor Idea to check if the up to 2 electronic equipments are running or any is turned off to prevent sending Power Toggling IR code. Each module Can save up to 255 IR codes then can be used for Home theater equipment, Multi Media systems control, IR Remote motorized Curtains Split AC control, and several other IR Controlled devices. Ready trigger Using single on command..
even if changed manually. (e,g. Q. How many IR codes Can the IR emitter save? Q. up to what range can IR emitter send IR signal? Q. What is the Load designed to be read accurately by the current sensor that is built-in the IR emitter? 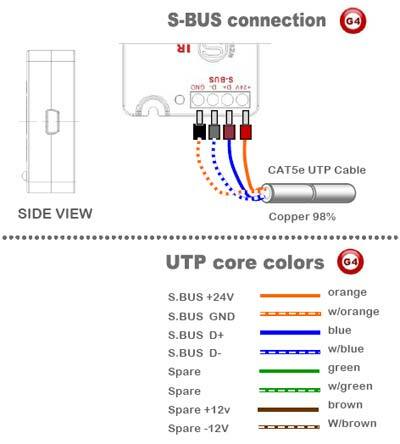 A. up to 2Amp the reading is accurate. Usually all electronics like TV, DVD ++ are below this thresh hold. Q. 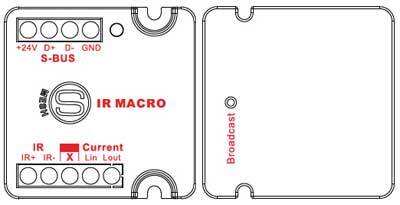 Can the IR emitter perform Macro functions? A. if you have logic module installed, then any IR-emitter can perform the Macro function. The IR Emitter has successfully proved its ability in control of many 3rd party IR controlled systems like: HVAC, Curtains, Drapes, TV's, DVD's, Set Top Sat Boxes, Stereo equipment, AV receivers, Projectors...etc.